Tuition: The cost for the program is $ , which must be paid in full before course begins. 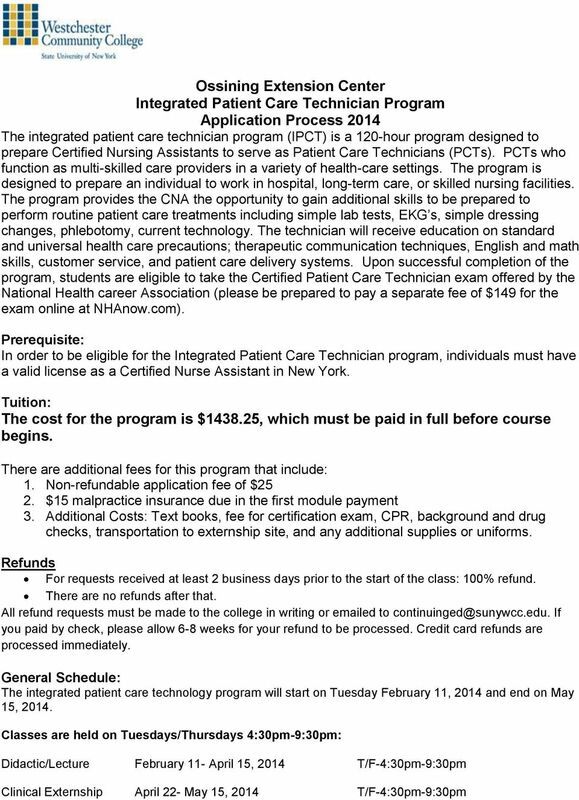 Download "Tuition: The cost for the program is $1438.25, which must be paid in full before course begins." 2 ***You must successfully complete all coursework including the externship, pass the National Certification examination for the Patient Care Technician (CPCT), and complete all financial obligations of the program to become a Certified Patient Care Technician. *** 1. 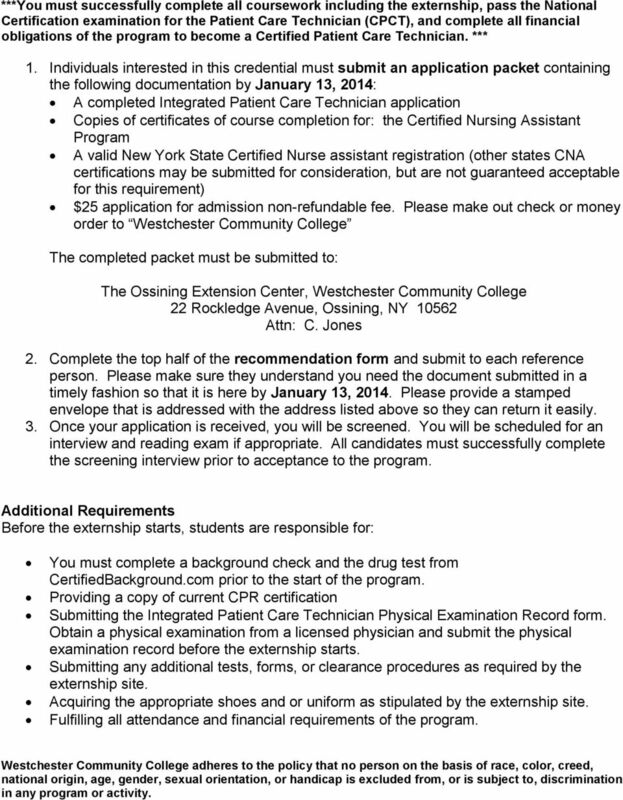 Individuals interested in this credential must submit an application packet containing the following documentation by January 13, 2014: A completed Integrated Patient Care Technician application Copies of certificates of course completion for: the Certified Nursing Assistant Program A valid New York State Certified Nurse assistant registration (other states CNA certifications may be submitted for consideration, but are not guaranteed acceptable for this requirement) $25 application for admission non-refundable fee. 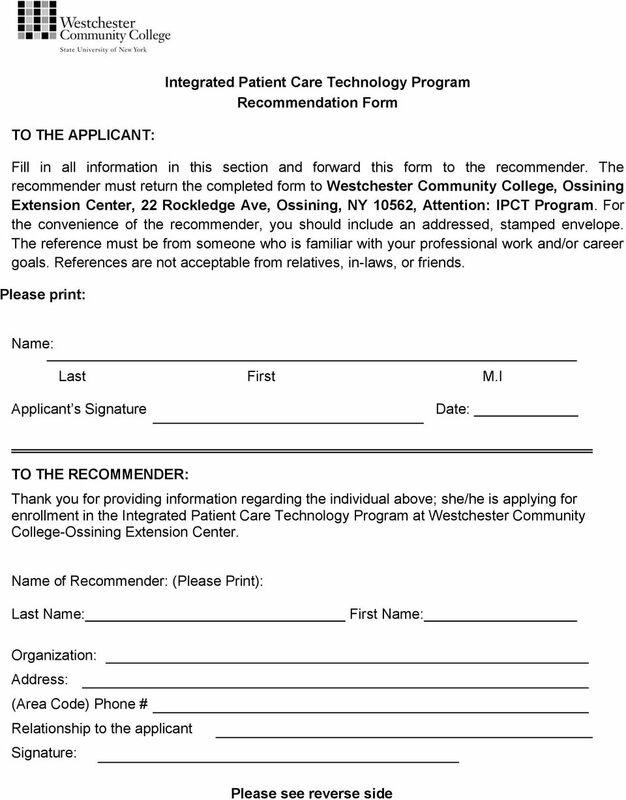 Please make out check or money order to Westchester Community College The completed packet must be submitted to: The Ossining Extension Center, Westchester Community College 22 Rockledge Avenue, Ossining, NY Attn: C. Jones 2. 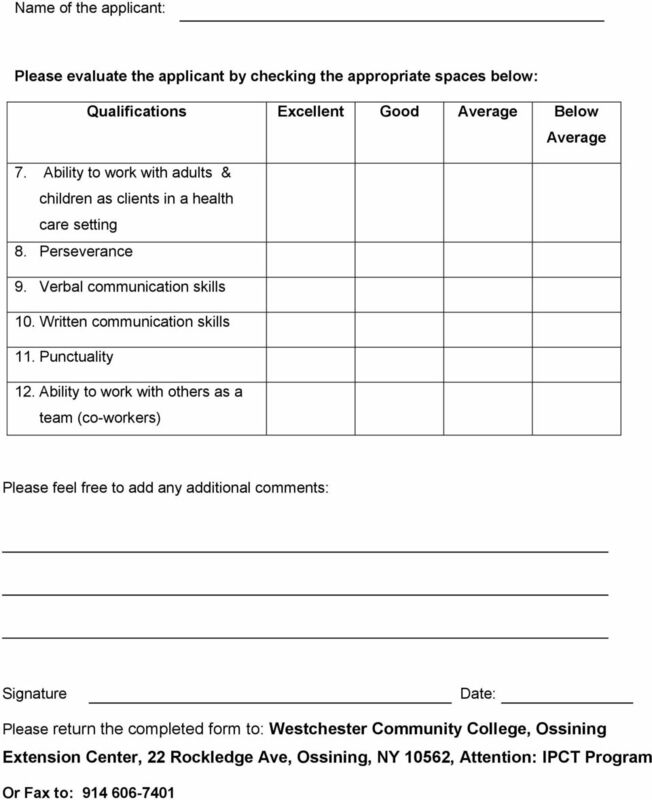 Complete the top half of the recommendation form and submit to each reference person. Please make sure they understand you need the document submitted in a timely fashion so that it is here by January 13, Please provide a stamped envelope that is addressed with the address listed above so they can return it easily. 3. Once your application is received, you will be screened. You will be scheduled for an interview and reading exam if appropriate. 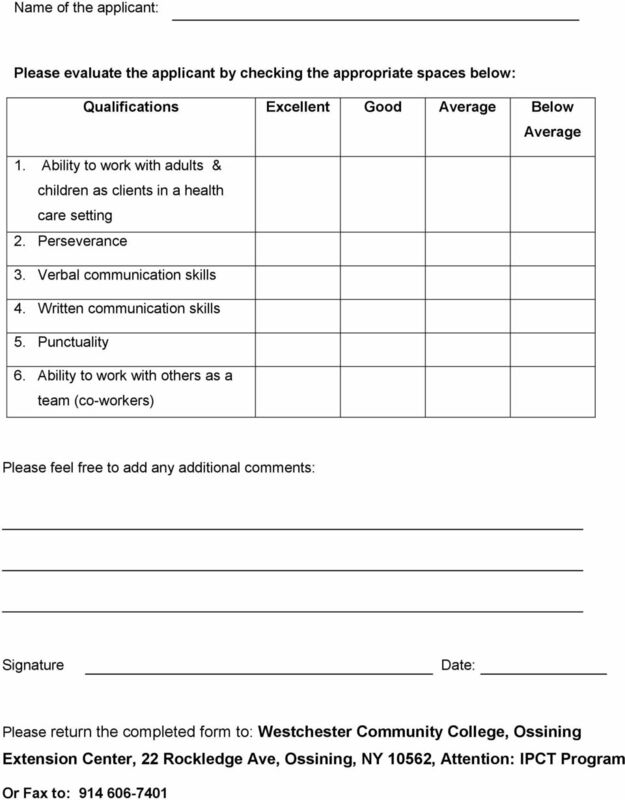 All candidates must successfully complete the screening interview prior to acceptance to the program. Additional Requirements Before the externship starts, students are responsible for: You must complete a background check and the drug test from CertifiedBackground.com prior to the start of the program. 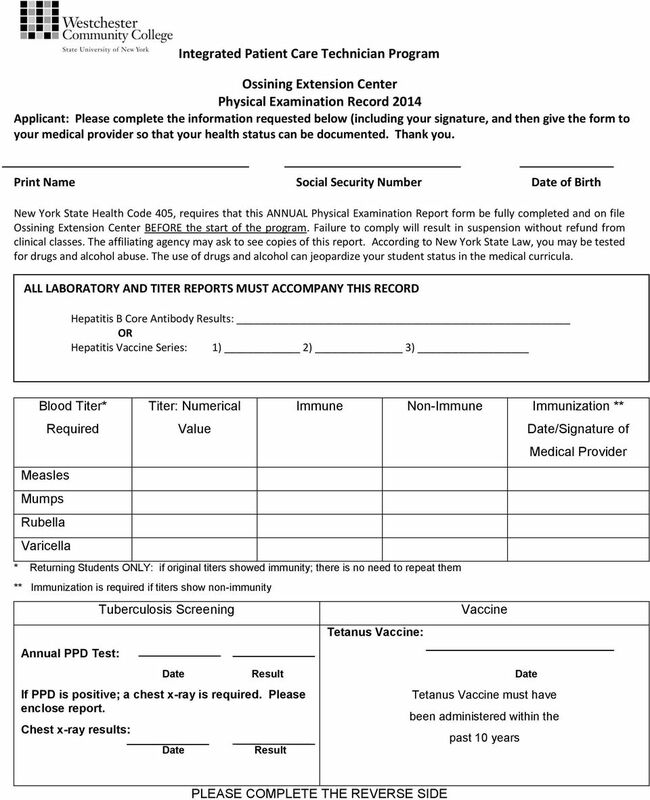 Providing a copy of current CPR certification Submitting the Integrated Patient Care Technician Physical Examination Record form. 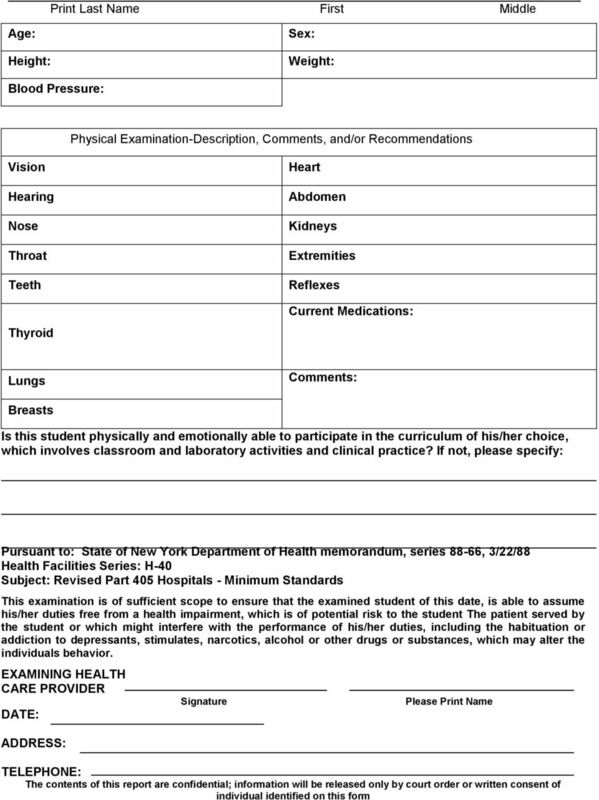 Obtain a physical examination from a licensed physician and submit the physical examination record before the externship starts. 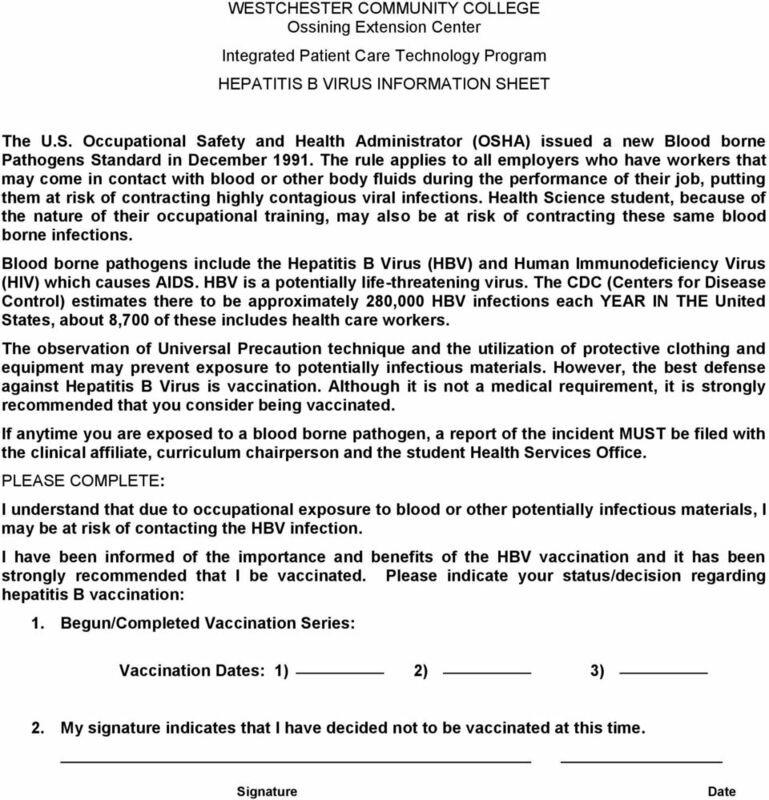 Submitting any additional tests, forms, or clearance procedures as required by the externship site. Acquiring the appropriate shoes and or uniform as stipulated by the externship site. Fulfilling all attendance and financial requirements of the program. 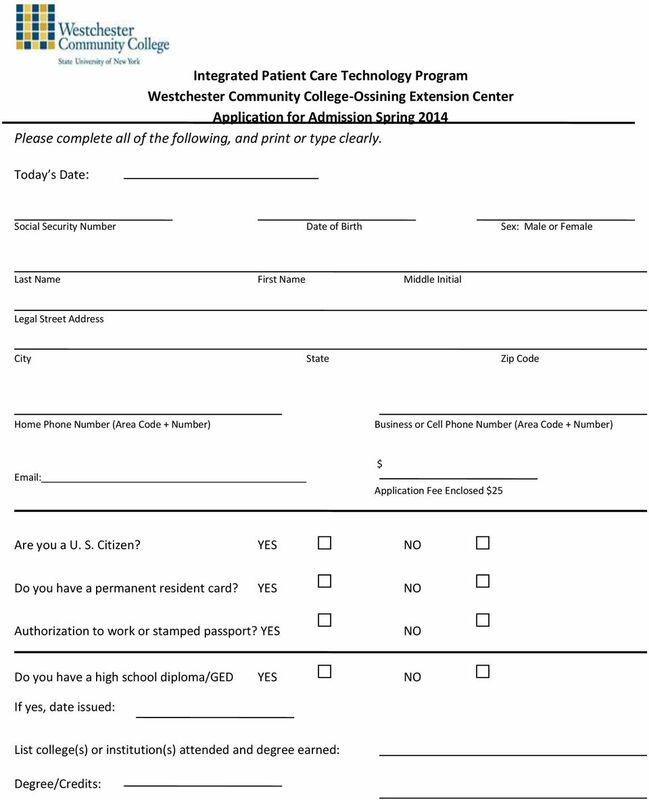 Westchester Community College adheres to the policy that no person on the basis of race, color, creed, national origin, age, gender, sexual orientation, or handicap is excluded from, or is subject to, discrimination in any program or activity. Summa Center for EMS EMT Program Website: www.summa-ems.org Accreditation #324. Note that this course is limited to the first 20 applicants. Pharmacy Technician. 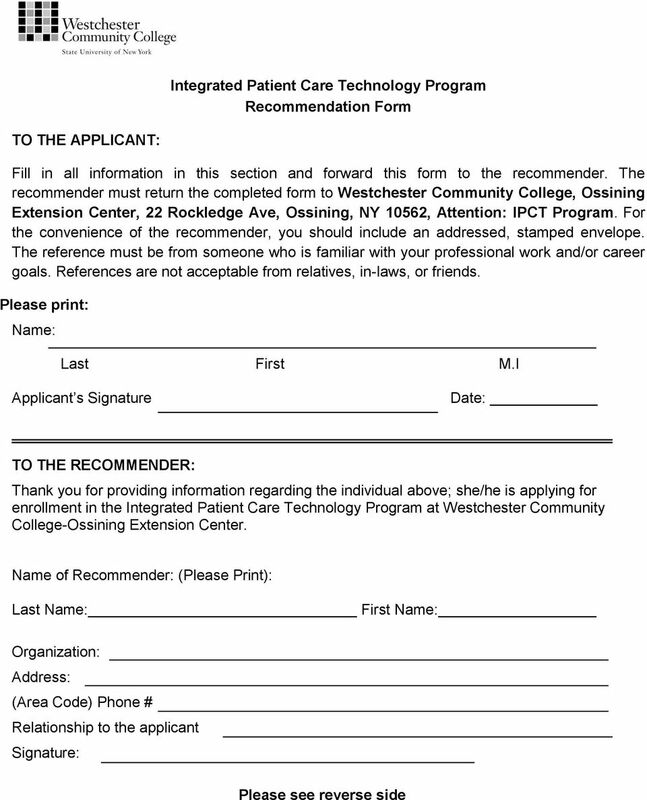 Program Application Packet. Northeast Texas Community College is an equal opportunity, affirmative action, ADA institution. NOTE: Activate your Ramsmail e-mail account immediately this is our primary means of communication with you. Directions to EHOVE Career Center: Situated mid-way between Cleveland and Toledo, EHOVE is easily accessible from all directions. PHLEBOTOMY TRAINING. Classes: The UAF CTC course is completed in one semester.